The majority of gooseneck hitches are rated for 25,000 lbs - 30,000 lbs. 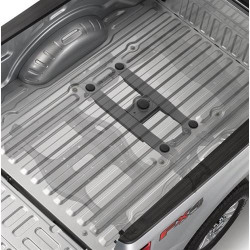 Unlike 5th wheel hitches, towing capacity may not be the deciding factor. 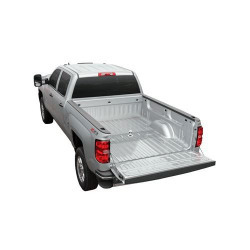 Before anything, you'll want to consider a few factors like, whether your truck has a hitch prep kit (OEM), or if you like the ability to easily stow your gooseneck system when not in use (under-bed gooseneck), otherwise an above-bed system would be sufficient. Once you've made your decision on style, then you can proceed to shop by brand and/or budget. 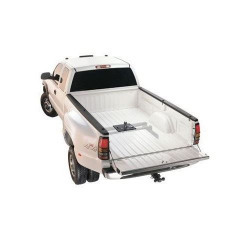 The advantage of the under-bed systems, such as the B&W Turnover Ball gooseneck hitch system, or some of the under-bed Curt gooseneck hitches they allow you to easily turn over or fold the ball to stow it in position to give you full access of your truck bed without any obstruction from the ball or top of bed mounting kits. The added advantage of B&W's turnover ball system, it gives you the ability to alternate between towing with a 5th wheel and gooseneck hitch. The turnover ball gooseneck system can be used to mount the Companion 5th wheel hitch. See how does a B&W Turnover Ball System work for more details. Perhaps not as sleek of a design as the under bed systems, but they are just as effective in getting the job done. They too have their advantages, aside from the fact they have comparable towing capacities, they are typically easier to install and remove for use on another truck; and they have a greater range in pricing to fit your budget. HOW DOES A GOOSENECK HITCH MOUNT TO A TRAILER? The front of a trailer has a Gooseneck Coupler that mounts over top of the gooseneck hitch on the truck bed, it simply covers the ball for a secure mounting position. The below image is what the gooseneck coupler looks like on the trailer. If you don't see the product you need or having difficulty locating a gooseneck hitch, let us source it for you! You can contact our team of experts by live support, email or call (800) 300-4067?